The 3D printing technology has proven itself a very useful innovation in the field of medical technology. In fact, this technology is no longer restricted to making medical models to help surgeons plan their operation but progress has been made such that construction of delicate tissues is now possible. One of the most intriguing things that can be created with 3D printers is the knee cartilage. Scientists from the Texas Tech University and Texas A&M University were able to develop a way to create knee cartilage from a 3D bioprinter. Led by Dr. Jingjin Qiu, the 3D printed cartilage can be used to repair the injured meniscus among patients suffering from arthritis and mechanical damage caused by injuries and sports. The cartilage of the knees protects the connecting bones of the legs against friction as well as absorbs shock when you engage in extreme activities. However, the cartilage can break down and become inflamed, thus patients are required to undergo surgery called meniscectomy to repair the meniscus. 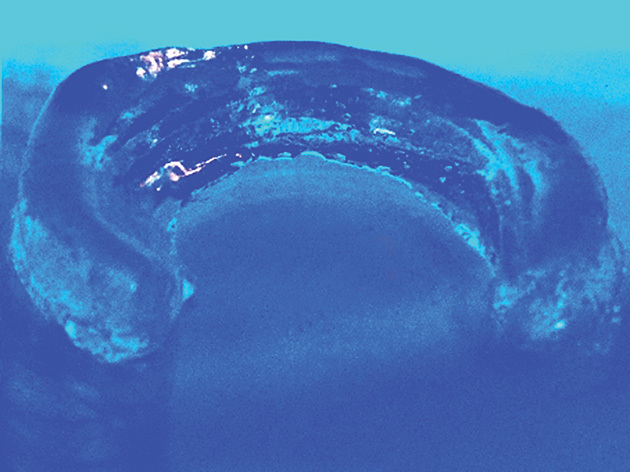 To create the 3D printed meniscus, researchers used hydrogels but added a gel-like substance called alginate. The addition of the alginate to the hydrogel increases the viscosity of the bio-ink. The material also restricts the cartilage from pulling out under stress. The problem with conventional meniscectomy is that the removal of the meniscus can result to the risk of osteoarthritis later in life. Moreover, transplanting knee cartilage from a donor can also bring up a host of complexities including rejection and biocompatibility issues. The development of the 3D printed meniscus removes all these complexities thus it can help many people suffering from a lot of knee problems.